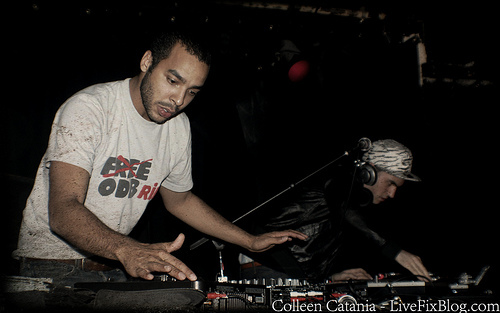 When I read the news that DJ Mehdi had died this week from a tragic fall from a rooftop at his home in Paris, I immediately thought back to when we saw him perform alongside DJ A-Trak at the Empty Bottle in 2007. And what I remember the most about that show was having just as much fun dancing to DJ Mehdi’s beats and I did watching him get lost in the music and smiling constantly through his set. The guy was a blast to watch and the pleasure he had playing live was undeniable and infectious. What I’m describing to you by looking back at DJ Mehdi Empty Bottle set is what I like to call live music mourning, which is the process of a concert fan grieving in the wake of an artist’s death who you saw perform live. The grieving process happens in many ways in our lives when people or things we love to do die or cease to exist. And as a concert fan, I’ve realized that live music mourning is a unique kind of grieving that I’ve learned a lot from by reflecting on what’s going on in my mind and heart before, during and after the show. For me the live music mourning process is defined by the build up, feeling and the processing of emotions associated with that live music moment. It’s also the process of feeling and sorting through all the thoughts and emotions associated with the music that artist created on album. And just like other grieving moments, live music mourning isn’t just a one time event, it’s an ongoing process and can last for a long time, and it can be triggered by a song, photo, a word, a sense or anything associated with that moment or artist. 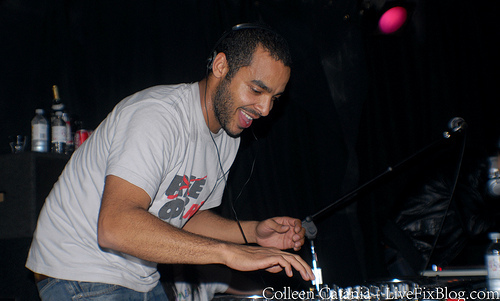 For me, when I heard about DJ Mehdi’s death I thought back to the Empty Bottle show and I found myself reminiscing about everything I saw, heard, smelled and felt. I felt big sense of sadness about his death because I felt that he had a lot more music to share with the world, and I was sad that other fans wouldn’t be able to experience the same thing I felt that night at the Empty Bottle. I felt happy and joyful this past week too because it was a pleasure to voyage back to that concert where I had such a great time. I’ve also found myself thinking about all the other artist we’ve seen live who’ve died. I’ve thought about Amy Winehouse, Sparklehorse, Michael Jackson, Jay Raetard and Mike “Eyedea” Larsen. And I’ve been thinking about my Dad’s death last year and his love for Neil Diamond live. And I’ve been thinking about fellow concert fans who’ve died and their favorite concert experiences, and fans who’ve experienced traumatic events like the Sugarland tragedy. As a tribute to DJ Mehdi we shared one of our favorite tracks “I am Somebody” on the latest episode of Live Fix Radio. Do you have a DJ Medhi concert memory? Have you experienced live music mourning? Let us know what’s on your mind and we’ll share your story during a future episode of Live Fix Radio.